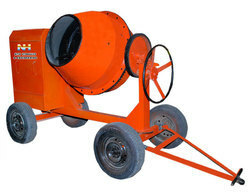 We have with us a precision range of Cement Mixers that are ideal to be used in construction industry. Our Sand Mixture are assembled using high quality parts and components, which is procured from trustworthy vendors. These machines are widely used to make the bottom layer and top layer paver materials. To protect the external main jacket the mixture of sand, cement and grit of 6mm, 8mm or 10mm is used. 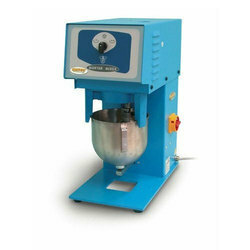 On-plant mixing of dry colour is usually done in a tumble blender, which may be merely a fiber drum mounted on an axle that may turn end for end or at an angle. Cement mixers are also used or blenders similar to those used at the resin manufacturers plant.